Le titre va-t-il enfin gagner en intérêt ? 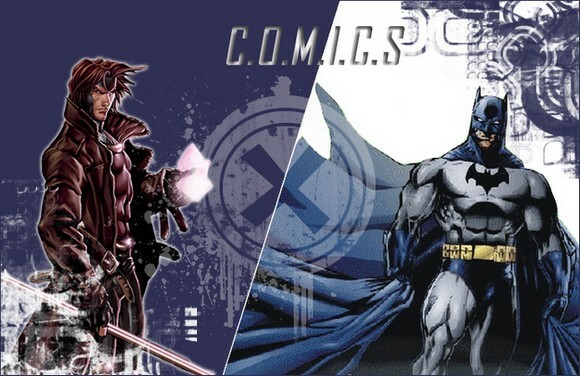 • Welcome new series artist Ethan Van Sciver! • Do you dare journey into the twisted world of the Mad Hatter? 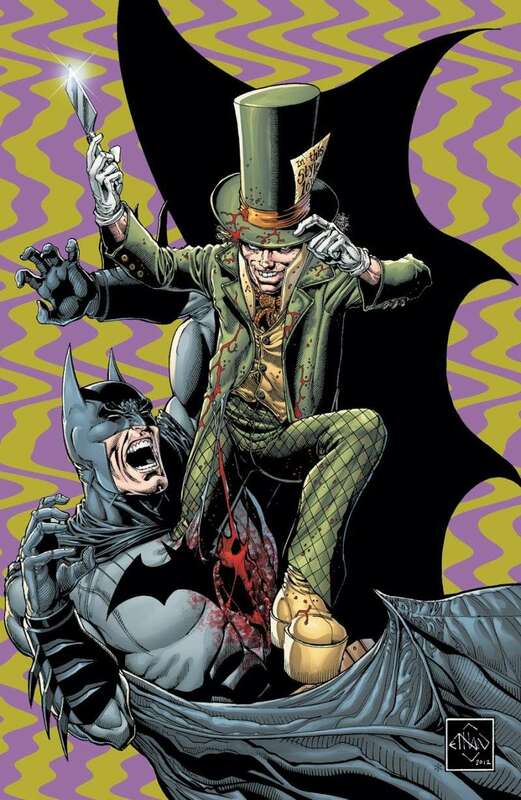 • Batman has discovered a trail of bodies but no leads as he realizes that this is unlike any Mad Hatter case he’s seen before. • The terrifying tale of the Mad Hatter’s origin continues! 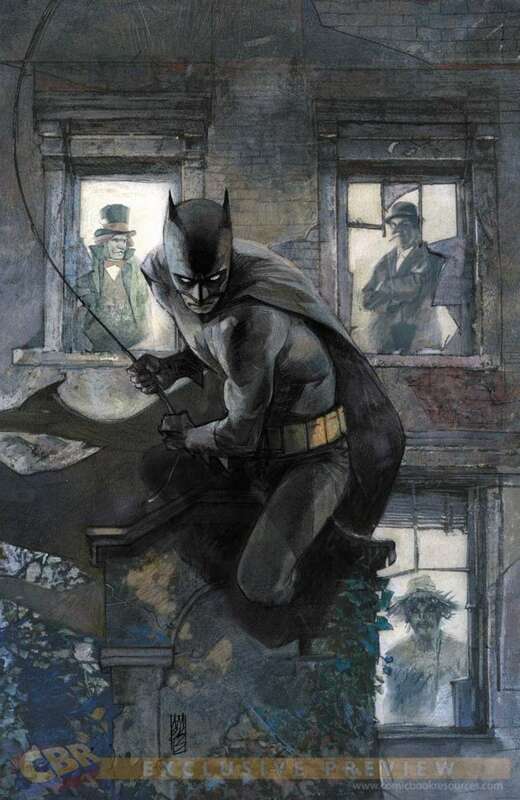 • Batman is still two steps behind the Hatter’s current reign of terror…will Catwoman’s interference make it three? In “Once Upon a Midnight Dreary” three of The Dark Knight’s greatest foes unite in to tackle the threat of Batman head-on! 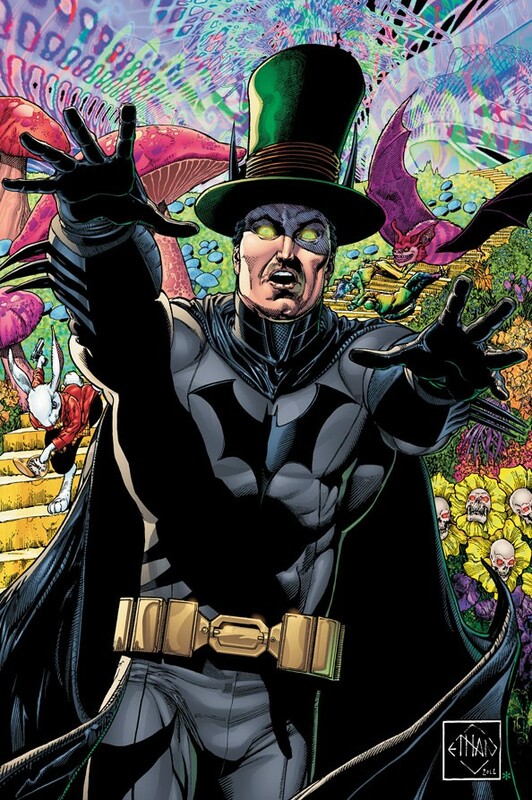 Will the diabolical scheming of Scarecrow, Mad Hatter and The Penguin be too much for Batman to handle? It’s the penultimate chapter of the definitive Mad Hatter story—and not everyone makes it out alive! And in the backup story, Emperor Penguin makes a trip to Blackgate Prison he won’t soon forget! Picking up from recent issues of BATMAN, the origin of Clayface is revealed—and a new mystery is introduced! Mr. Freeze takes his obsessions over the line when he sets his sights on his newfound family and getting revenge on Batman! It’s the biggest audition of Clayface’s life as he attempts to impress the Secret Society and join their ranks. Desperate to prove himself more than a monster, Clayface sets a scheme into motion that quickly unravels! Will he make his mark—or dig his own grave? Written by Gregg Hurwitz, art and cover by Alex Maleev. Now that he's locked up in Arkham, Gotham City is safe from the threat of Clayface. But what led Clayface to become the monster that he is? The answers lie here.